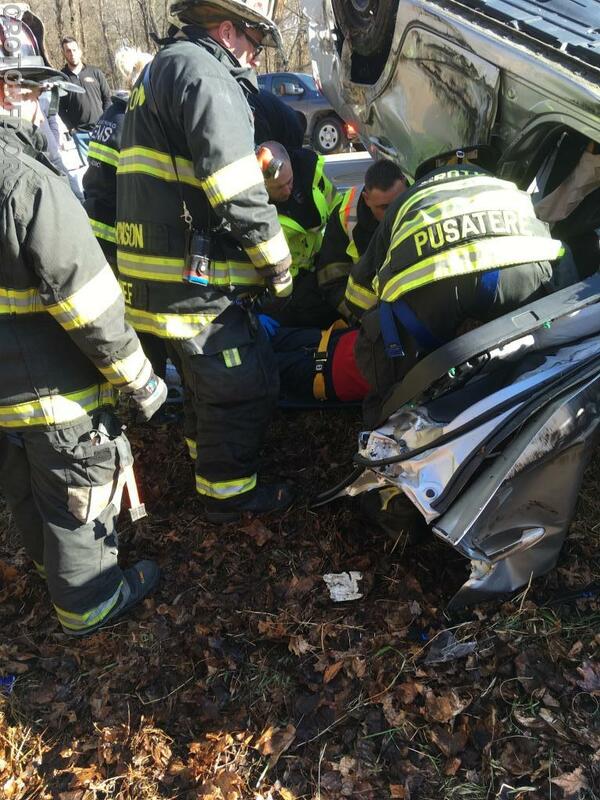 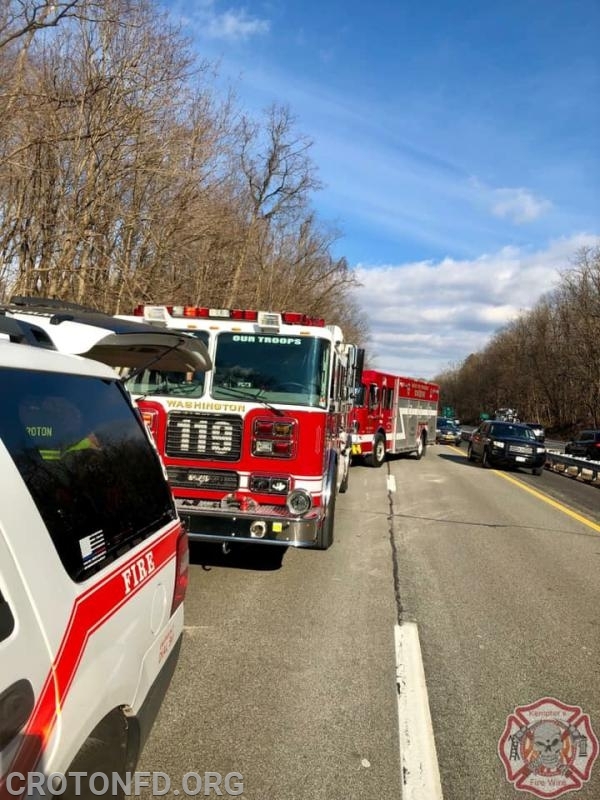 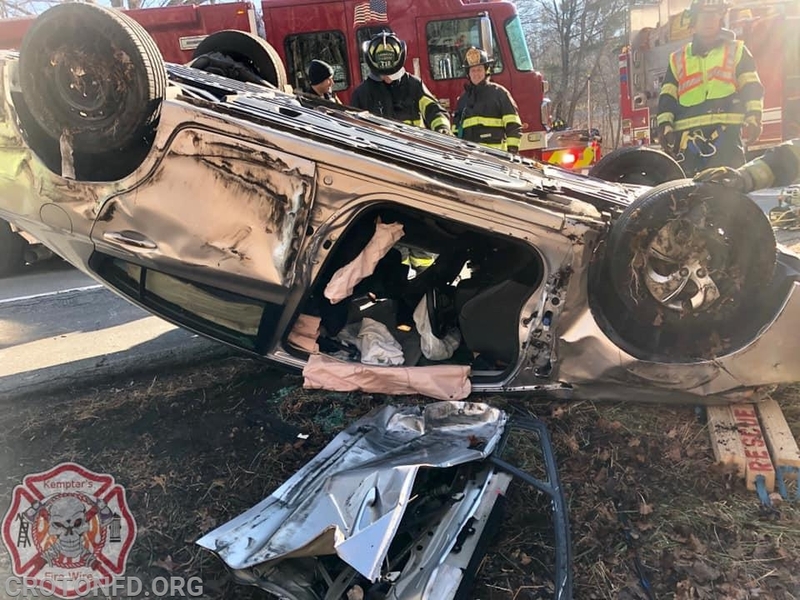 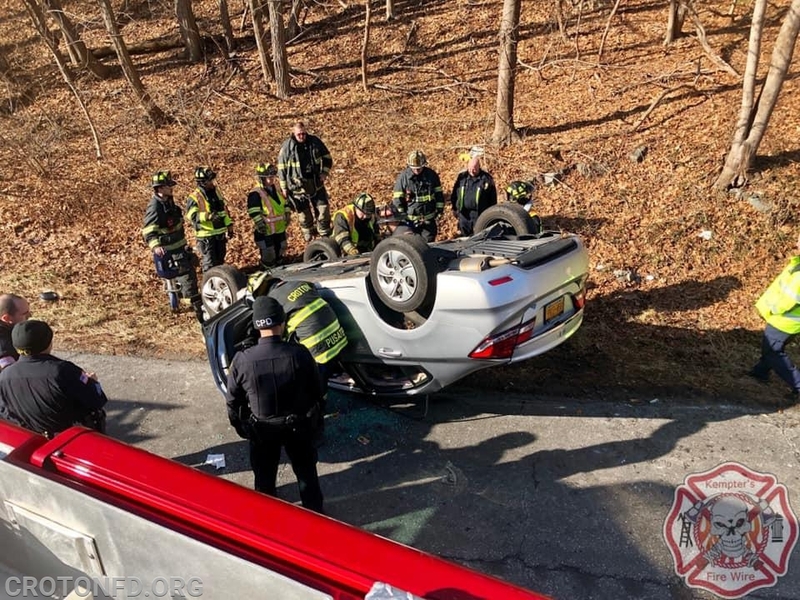 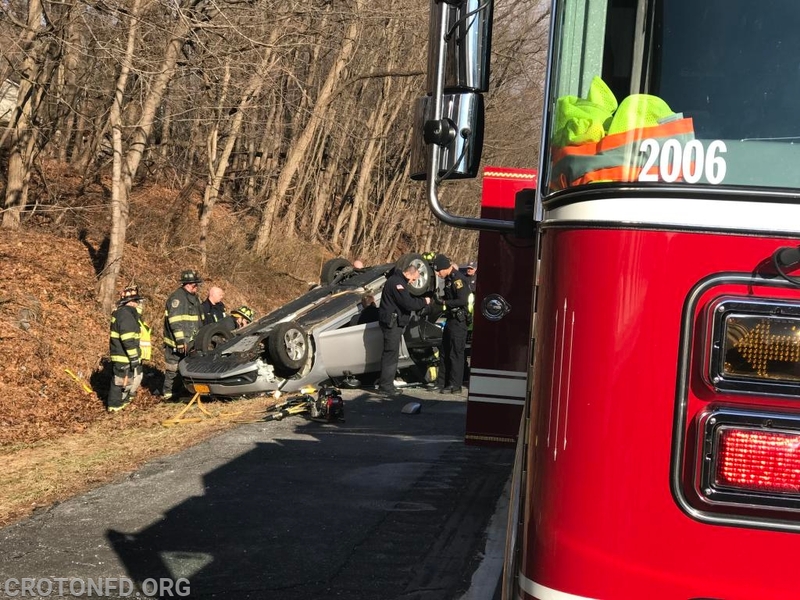 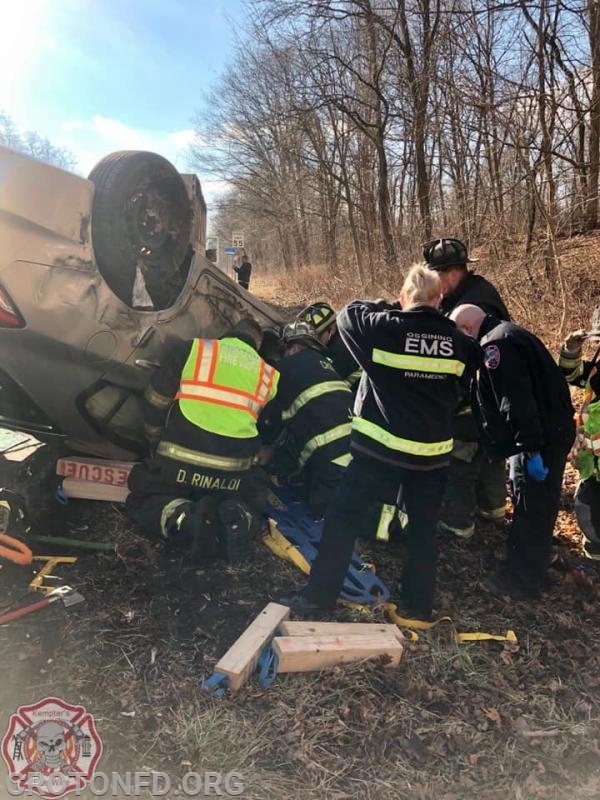 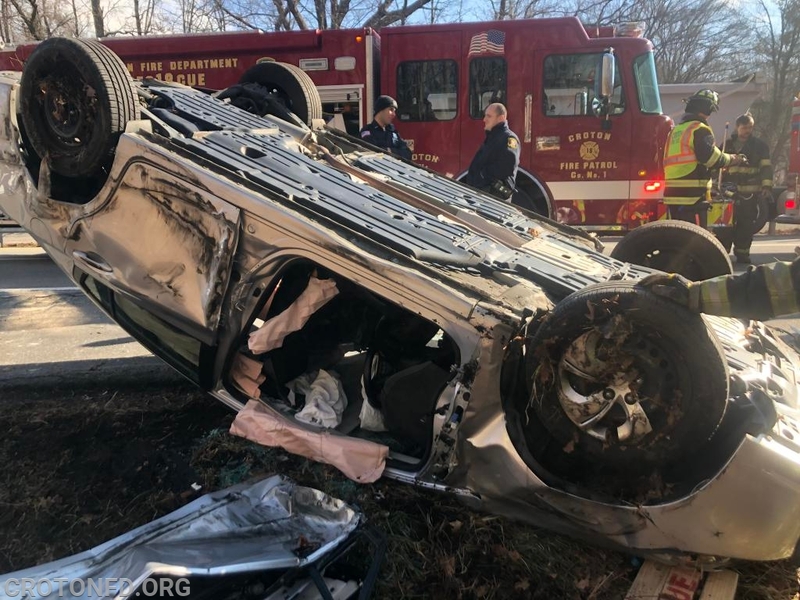 Firefighter/EMTs helped remove the elderly female driver from the car and on to a longboard, then loaded her on to a stretcher so Croton EMS personnel could evaluate and transport her to Westchester Medical Center for assessment of non-Life-Threatening injuries. 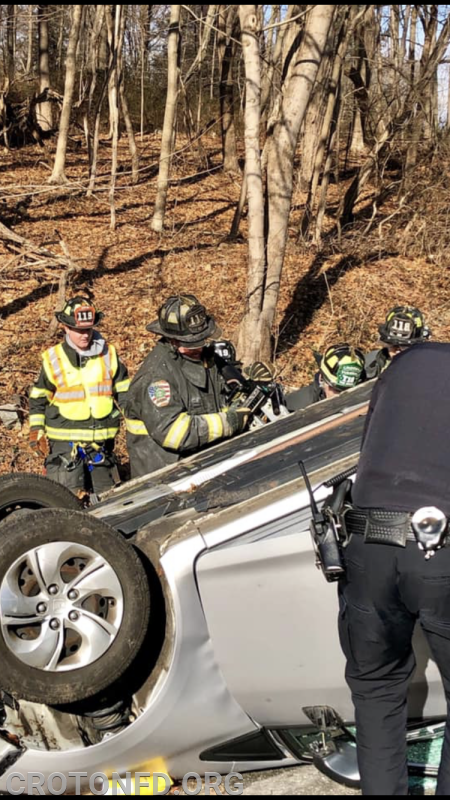 Units remained on location for 45 minutes awaiting removal of the car by a local Tow. 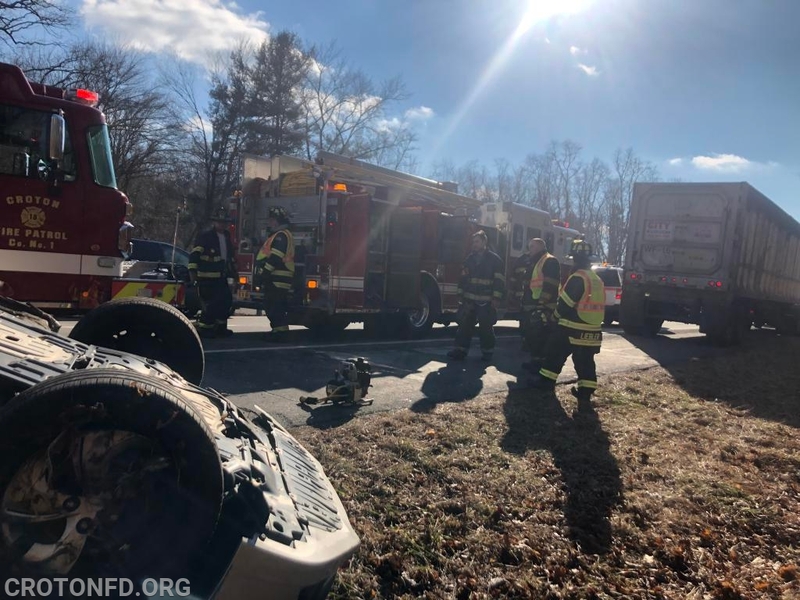 Over a dozen COHFD Volunteers were on scene. 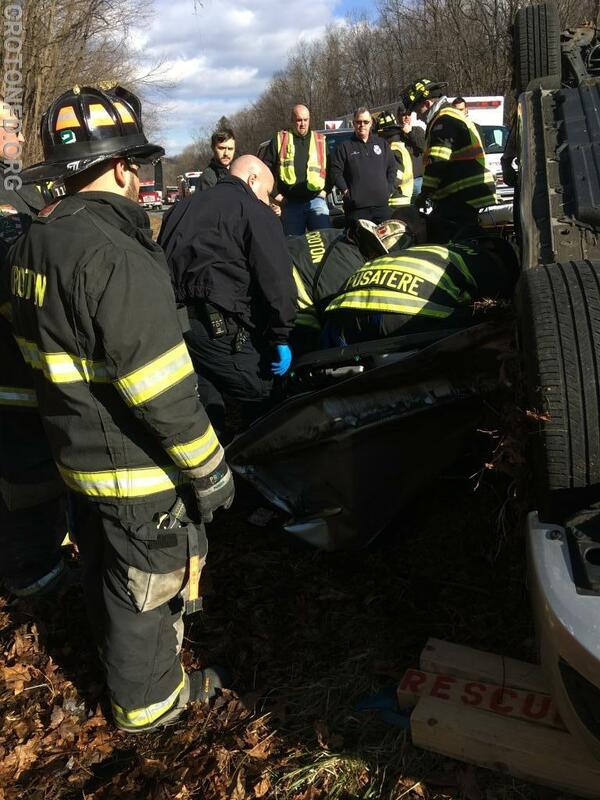 Thanks to Kempters Fire Wire for some of the photos.